The odds are high in any car accident that someone else caused or contributed to your wreck through negligence or recklessness, making you eligible for financial recovery. Bentley & More LLP has years of experience handling car accident claims throughout California. We can help secure compensation from the at-fault party after a collision on a state highway, freeway, neighborhood road, or privately-owned parking lot. Contact our personal injury law firm if you or a loved one sustained injuries in a car accident in San Bernardino or elsewhere in the Inland Empire. Our San Bernardino car accident lawyers have the expertise to help you win your case. If you have been involved in a car accident – you need the legal advice from a skilled and experienced San Bernardino car accident attorney. To get the advice and representation you need to be successful in your car accident claim, call (949) 870-8300. You may be entitled to compensation for your accident damages and injuries. What can I get compensation for in a car accident lawsuit? Is the cause of my car accident common? How can I tell who is liable for my car accident? Are my injuries from my car accident common? Why Do You Need a San Bernardino Car Accident Attorney? A San Bernardino accident lawyer can remove the enormous burden of legal matters from your shoulders after a harmful car accident. Your car accident attorney can take care of the claims process so you don’t have to, explaining the laws and your rights and responsibilities. He or she can also make sure you bring your claim with the right courts against the right party. Most importantly, a San Bernardino car accident lawyer can protect your family’s future by fighting for the compensation you deserve. Need a car accident attorney in San Bernardino? Bentley & More LLP is more than capable of skillfully handling your claim. Contact us today to discover how we might be able to help you. Call (949) 870-3800 to schedule your cost-free legal consultation. If you’ve been injured in a car accident in San Bernardino or anywhere else in the Inland Empire, let Bentley & More LLP take care of your accident claim and see what it could be worth. There is no doubt that legal battles can become expensive. At Bentley & More, LLP in San Bernardino – we understand this and work our hardest to keep your out of pocket expenses to a minimum. To see this mission through, we offer clients a FREE initial consultation with one of our award-winning lawyers. During your consultation, a member of our team will sit down with you and discuss the details of your accident and determine whether or not you have a case. We will also answer any questions you may have about the laws pertaining to your case or the legal process. In addition to a free consultation, our firm operates on a contingency fee basis – we don’t charge attorney’s fees unless we win your case. That’s right – we don’t get paid until you do. This shows how confident we are in our team’s ability to secure a compensation amount that is fair to you. Finally, we employ our entire staff to work on your case – this allows us to work for efficiently and bill you for less hours than many other firms. Less hours billed to you means more money in your pocket. Fault laws. California is a “fault” insurance state, meaning both parties involved in a collision must seek recovery through the at-fault driver’s insurance company. California is also a comparative fault state in terms of crash liability, meaning a plaintiff may still recover partial damages even if he or she contributed to the wreck. Reporting your accident. You must call and report your crash in San Bernardino if it resulted in personal injuries, death, or more than $750 in property damages. Call 911 for emergency situations or file a vehicle accident report with San Bernardino County within 10 days of the crash. Deadline for filing. You have two years from the date of the crash or the date you discover your injuries to bring your lawsuit in California. Property damage only claims have three-year statutes of limitations to file. Missing your deadline generally means losing your right to file. Driver error is the number one cause of car accidents, so it should come as no surprise that speeding leads to a lot of car accidents in San Bernardino. California OTS reports 284 injuries and fatalities related to speeding in 2015. There were 201 alcohol-related car crashes resulting in injuries and fatalities in 2015. Only 13 of these involved drivers who were under the age of 21, and 68 were between the ages of 21 and 34. Unfortunately, drinking and driving accidents are common in San Bernardino. Many serious and injury-causing accidents in San Bernardino occur at night. There were 196 injuries and fatalities occurring between the hours in 9 pm and 3 am in San Bernardino in 2015. Drivers can significantly reduce their risk of injury by avoiding driving during those hours whenever possible. Severe accidents in San Bernardino are most likely to occur from distracted driving, drunk driving, or speeding. A combination of these factors can lead to catastrophe, leaving victims with medical bills, lost wages, and more. Fortunately, a personal injury claim can help compensate for the damages a family suffers at the hands of a negligent driver. Violation of California law. The California Vehicle Code outlines several rules that all motorists must follow to assure the safety of others. Examples of these rules include speed limits, yielding to the right of way, distracted driving, and driving under the influence. If another driver violates any of the statutes listed in the California Vehicle Code, he or she may be civilly or criminally liable for any damages that result, depending on the severity of the offense. Forensic evidence. Your insurance company or a police officer may look at several pieces of evidence, including skid marks, to determine what happened in a car accident. Using this information, an insurance company may assign fault and determine liability in a crash. Eyewitness accounts. Additionally, police officers will speak to the eyewitnesses of a crash and determine who was responsible for the damage. In some cases, one or several motorists may share fault for an accident. For example, a driver may get into an accident with a texting driver, but he or she may have neglected to yield. In this case, both drivers will likely share liability for the damage, though one might be at majority fault. This goes by the name of the rule of comparative negligence and it may affect a driver’s claim amount. 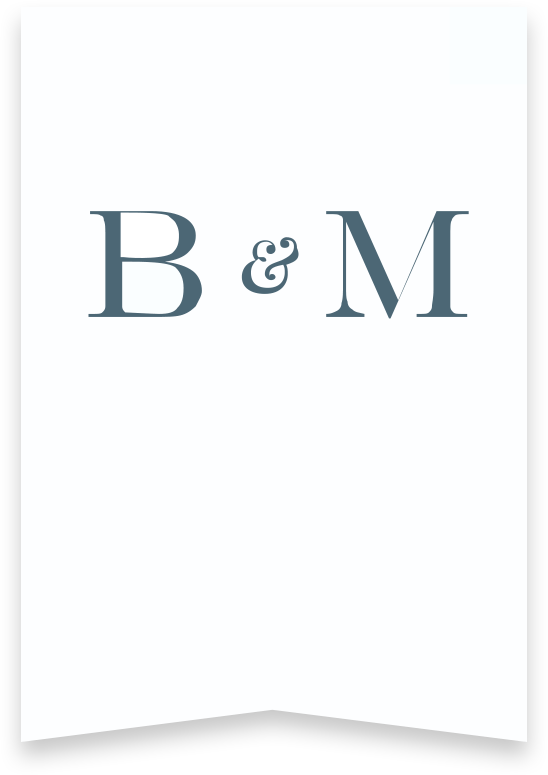 Bentley & More LLP has handled a wide spectrum of personal injury claims in our years of service. Auto accidents are especially dangerous, causing injuries that range from cuts and scrapes to traumatic brain injuries. Common car accident injuries our clients come to us with including broken bones, lacerations, burns, internal injuries, spinal cord injuries, road rash, and psychological or emotional damage. We also handle auto accident wrongful death lawsuits in San Bernardino. Hiring an attorney after your car accident is the best way to increase your chances of securing compensation for your injuries. If you or a loved one have been involved in an accident, contact the San Bernardino car accident lawyers at Bentley & More LLP. Our years of experience have made us a leading choice among car accident victims through Inland Empire. Call us today for your free consultation.